A diamond stands for valuable and sustainable . Rightly so, as this unique natural product takes millions of years to develop under immense heat and pressure. A diamond is crystallized carbon, the hardest substance known to man. After polishing a diamond is of unparalleled beauty. 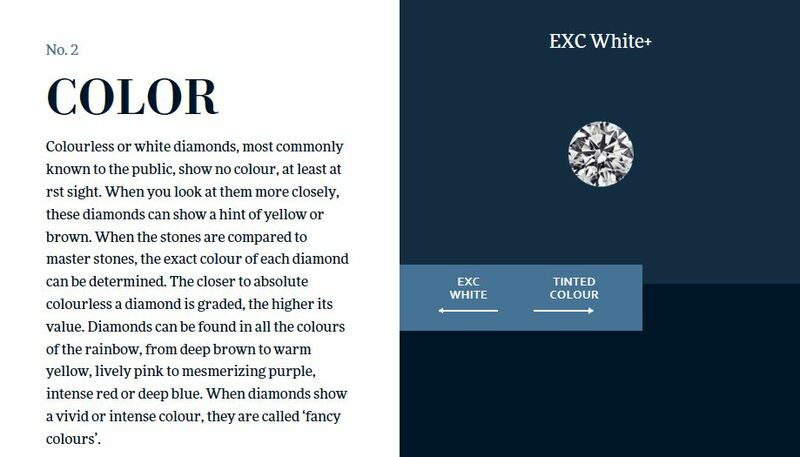 After processing the value of diamonds is determined by the combination of the four C’s.